A haevy duty cutter is an essential tool that everyone ought to have at hand. Now you can get 6 cards in 1 box! Each heavy duty cutter is sharp and rust-resistant. 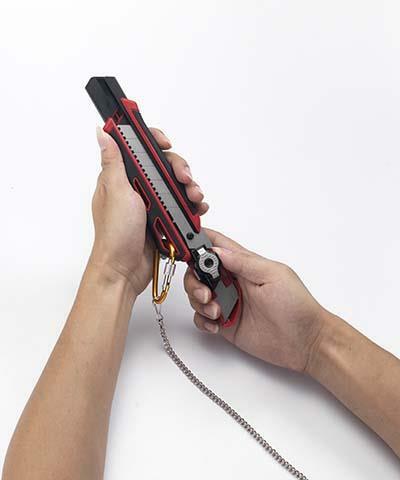 The safety lock design is to safely lock the blade in place. All of them are compact and pocket-size. You can use them easily to cut through packages, boxes, cartons, paper and plastic. Unlike most cheap box cutters, heavy duty cutter we provide are equipped with 25mm wider blade. more powerful to cut like paper, tape, plastic, cardboard, photos, coupons, cardstock, mat board, foam board, fabrics, crafts or post office packages. If you're interested in our product, please feel free to contact us! Thank you!